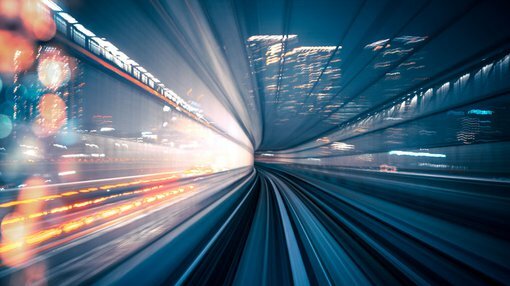 The velocity of money is the rate at which the total supply of money (M3) is turned over in the economy (Gross National Product) writes Mike Cornips. M3 is a measure of the supply of money that includes cash, short term deposits in banks and money market funds, large time deposits and other liquid assets. Think of it like a business. Your money supply is the amount of working capital you have employed in the business. To be profitable, you need turnover that working capital as many times in one year. If you have $1million in working capital and $5million in annual revenue, then you have turned over (ie Velocity) your working capital 5 times in the year. To increase your profitability, you need to increase the velocity of your capital. The graph below clearly demonstrates that in both the United States and Australia, the velocity is in a remarkable downtrend, and more so for Australia. To put it into context, back in the pre-money printing days, for a single dollar increase in the money supply resulted in a two dollar plus increase in the Gross National Income. To put it in another way, a dollar increase in working capital resulted in a $2 plus increase in revenue. Currently in Australia, for 12 months to July 2016, M3 money supply increased by $107 Billion. For the same 12 months, Gross National Income only increased by $44 Billion. So, a dollar increase in money supply only increased national income by 41 cents. The increase in Money Supply mirrors the increase in total debt. In the US, for every $1 increase in M2 (M3 is no longer published in the US), the Gross National Income increased by 65 cents. 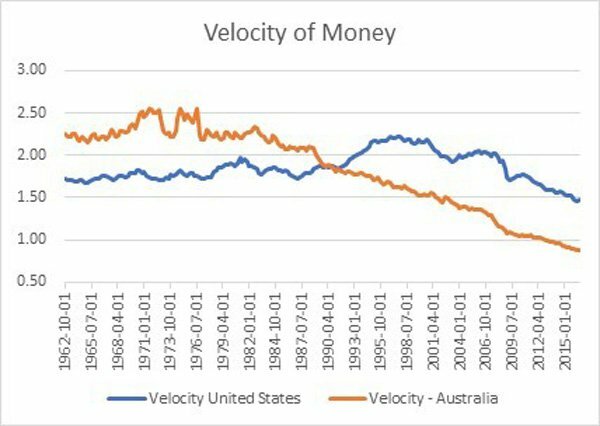 In the US the velocity peaked in the late 1990’s (dot-com crash), and in Australia it peaked during the recession in the early 1980’s. The graph shows that rapid deacceleration of Velocity (print more money relative to national income increases) coincides with an economic downturn – late 1980’s, late 1990’s to 2001, and the GFC in 2007-08. The Keynesians amongst us would never have a problem more debt couldn’t solve, but if I had to borrow $1 million to increase my revenue by 41 cents or less, I probably would say it was silly.